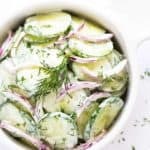 So healthy and full of vibrant fresh flavors, this Cucumber, Olive and Dill Salad is an incredibly easy side dish! 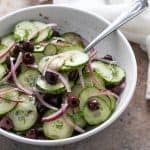 Seriously, how can you go wrong with crisp cucumbers, red onion, Kalamata olives and fresh dill in a sweet and tangy vinaigrette? 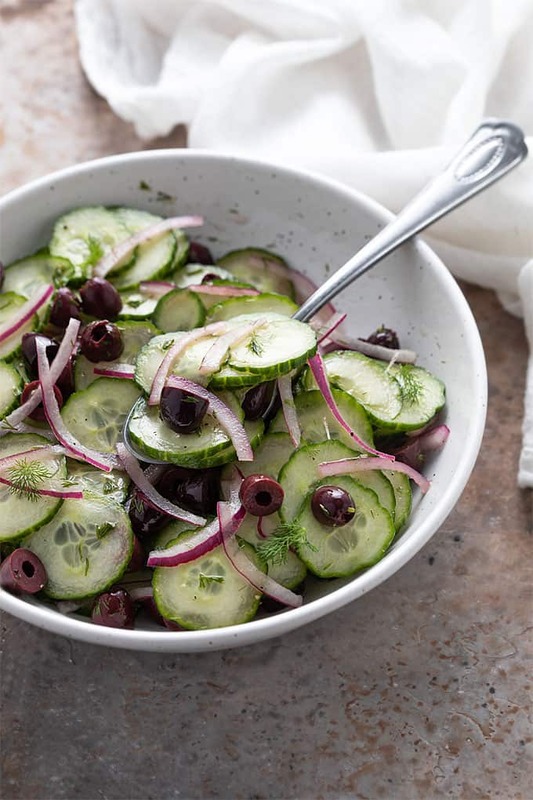 It’s an excellent spring and summer side dish, pairing perfectly with grilled chicken, fish or steak. What’s in the homemade vinaigrette? 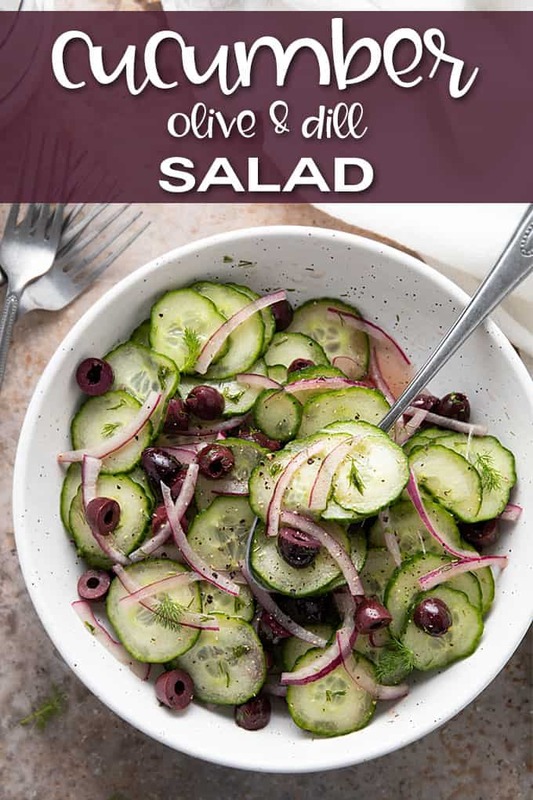 The vinaigrette is a simple mixture of red wine vinegar, apple cider vinegar, olive oil, fresh dill, sugar, salt and pepper. Feel free to adjust the ingredients to your personal preference. 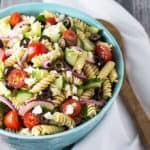 How long does this salad keep in the fridge? I’ve personally refrigerated this for up to 4 hours before serving and it was delicious. I can’t say with certainty how it will taste refrigerated after 4 hours. 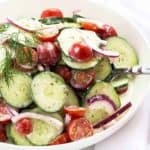 This healthy and easy salad is full of fresh, vibrant flavors and is a perfect spring and summer side dish! 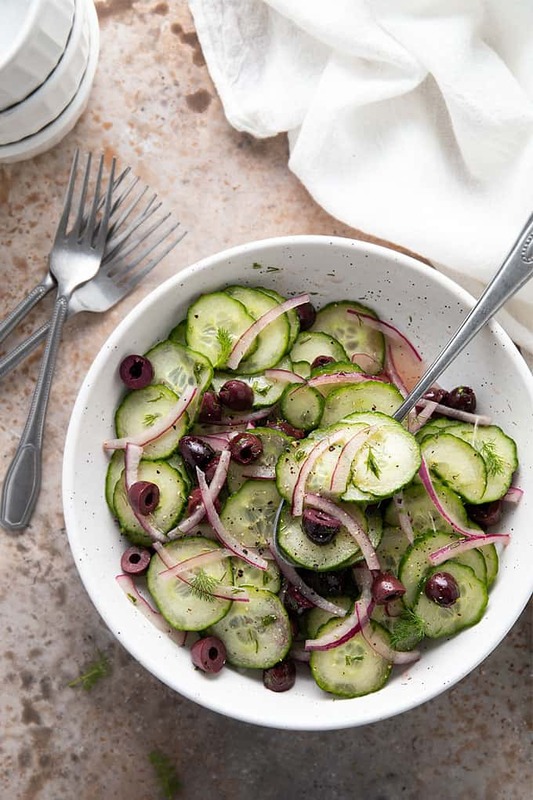 Whisk together red wine vinegar, apple cider vinegar, dill, olive oil, sugar, salt and pepper in a small bowl until combined. 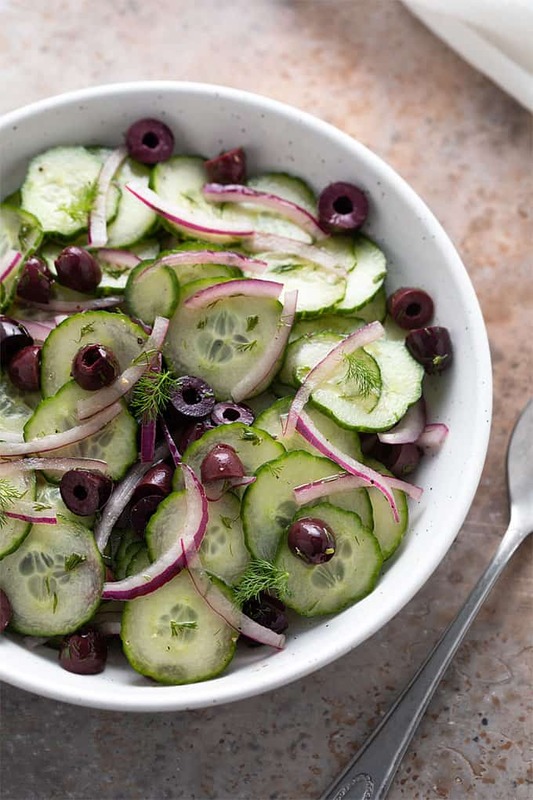 Place cucumbers, red onion and olives in a large bowl. 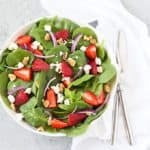 Drizzle vinaigrette over salad and toss to coat evenly. 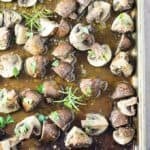 Serve immediately or cover and refrigerate for up to 4 hours before serving.